With this year’s Grammy Awards coming up in less than a month I am unsure if indie rock and electronic music fans should be excited or disappointed in the recent popularity gains in the past few years. Just last year Arcade Fire won Album of the Year for The Suburbs. This was one of the first signs that other forms of music were gaining a mass popularity. Now this year, you have Skrillex breaking through with the music genre and in your face sound of dubstep. 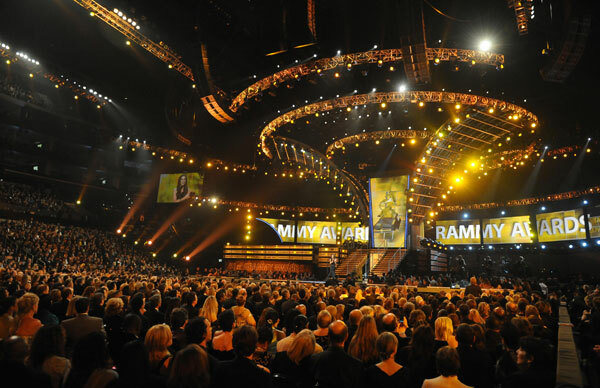 The electronic artist is up for 5 Grammy’s this year, an unprecedented number for any artist in the electronic music industry. Bon Iver the popular indie rock group fronted by Eau Claire, Wisconsin’s own Justin Vernon is up for Record of the Year, Song of the Year, and Best New Artist to name a few. The Grammy community must think that he is a new artist because they just discovered his music or his music has gained enough popularity that we will now acknowledge you. Bon Iver’s music has been making sweet love to my ears since 2008 so it really isn’t new to me or anyone else who has had their ears violated by Bon Iver’s music. The song “Holocene” is one of my favorites from 2011 so I can see why it has elevated them to Grammy status. What are the contributing factors to why these artists are gaining popularity? In my opinion, technology happened. As many people leave their normal avenues to discover new music this trend is going to continue. The addition of Sirius XM into many people’s homes, workplaces and automobiles has helped spread new musical knowledge. Also, music sites such as Pandora, Last.fm, Spotify and Rdio(just to name a few) have also helped in the discovery of these artists and bands. The only thing I can see good out of all this is that I might actually tune in on February 12. Will you be watching? This entry was posted on Sunday, January 15, 2012 at 9:42 am and is filed under Music News, News with tags Album of the year, Arcade Fire, Best New Artist, Bon Iver, dubstep, Eau Claire, Grammy Awards, Holocene, indie rock, Justin Vernon, last fm, Pandora, Record of the Year, Sirius XM, Skrillex, Song of the Year, Spotify, The Suburbs, Wisconsin. You can follow any responses to this entry through the RSS 2.0 feed. You can leave a response, or trackback from your own site. Did the Roots get a nomination? I see they are nominated for Best Traditional R&B Performance for “Surrender” featuring Betty Wright and it is off the soundtrack for the Betty Wright: The Movie. You would probably be happy that A Tribe Called Quest is nominated for Best Long Form Music Video. I’m extremely happy about that.